That’s right. It’s been a year and a half here at 11th Screen. And I’m still going. And growing. This has been one of the most rewarding things I’ve ever done, professionally. Not only is it a creative outlet for me, it has opened up doors that I never anticipated. I’ve spoken on panels and I’m on boards and I’ve gotten various articles published – all of which would never have happened without this platform. And the connections. I can ‘t say enough about the connections. I’ve met so many nice, smart, influential people in and outside of this specific industry. It’s humbling, really, to think this blog has enabled me to connect with all of them. And there’s you, the readers, who make it incredibly comforting to know there’s someone on the other end who gets something from all of these thoughts and words. I really try to push myself, with every post, to make it worth your while. I can’t say how much I appreciate your readership and your comments. I look forward to another year and a half and all of the exploring and growing that comes along with it. Thank each and every one of you, again, and I hope you have a safe holiday weekend. This entry was posted in Marketing and tagged 11th Screen on 07/02/2011 by Mike Cearley. 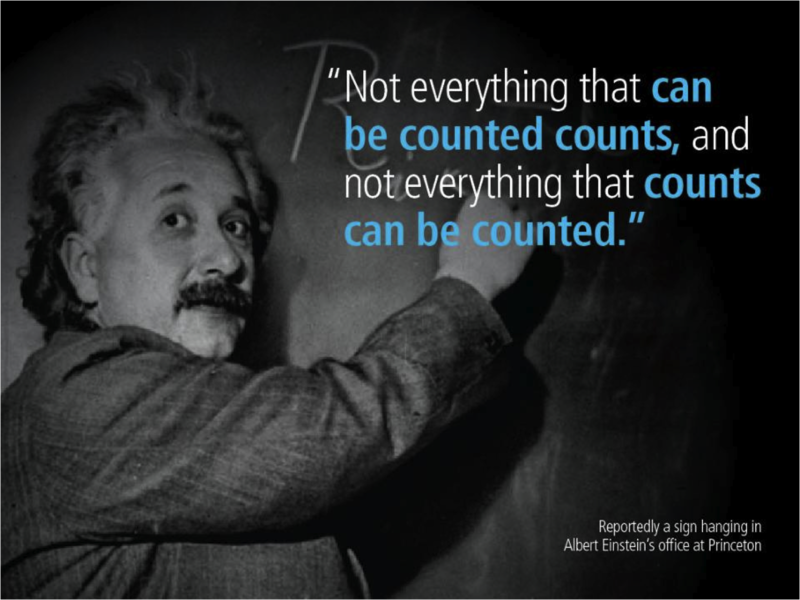 The ongoing conversation about measurement will always continue. The question is, is it the right conversation? Clickthroughs, page views, and registrations. Impressions, sentiment, and share of voice. These are all things we can measure. But do they all matter? Especially if they’re being achieved by the wrong people? What about things like relationships? Or that one comment by the top influencer in your industry? Or that issue that didn’t occur because of the way you communicated? 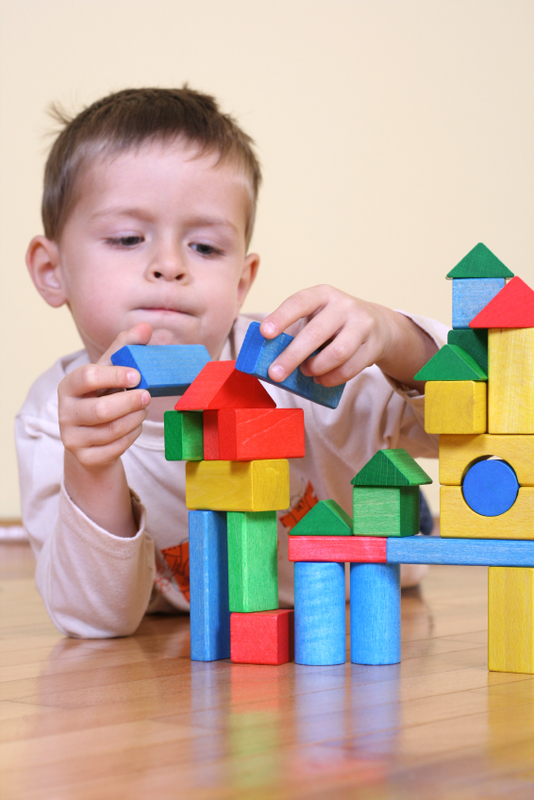 The thing about measurement is to try your best to measure the right things in the right way. The only way you can do that is to clearly define goals. The more specific the goals are, the more noise you can eliminate. And the more we can work toward the right conversation. NOTE, A WORD ABOUT THE OVERSIMPLIFICATION – I know that I’m oversimplifying this. I don’t really have a desire to get into the details of measurement here. But I think a simple step can be taken to direct the conversation in the right direction – and that is clearly to define goals. I’m not talking about, “I want to sell more product,” or “I want more people coming to my site,” or “I want more fans.” (If those are the goals, paid advertising is your answer in most cases.) But what are the specifics? 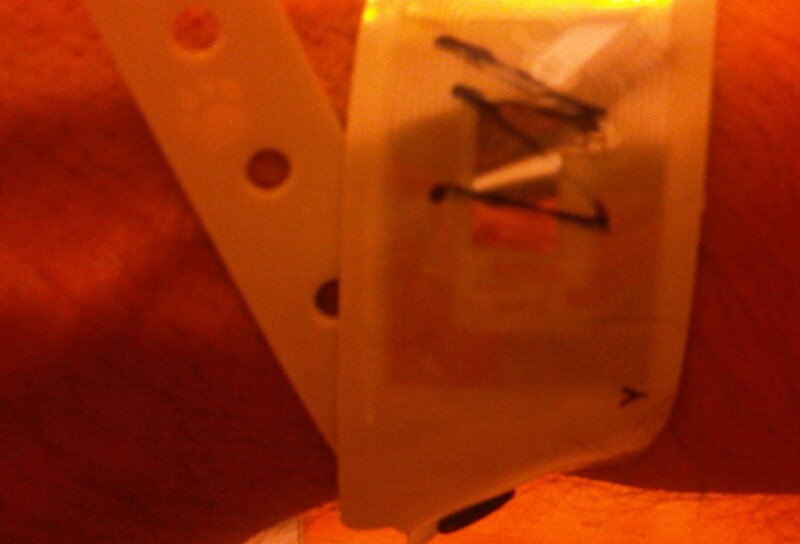 This entry was posted in Marketing and tagged 11th Screen, measurement on 06/10/2011 by Mike Cearley. The downfall to a real world 11th Screen solution reared its ugly head this weekend. 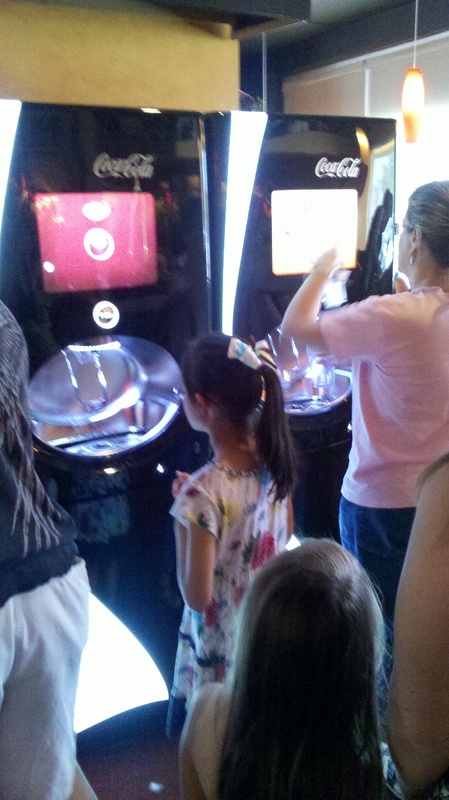 Unfortunately, it was from one of my favorite brands and a fun, albeit novel, experience: Coke’s 106 Flavor touch screen soda fountain. We were eating at a casual dining restaurant and I noticed that they had a couple of these kiosks. 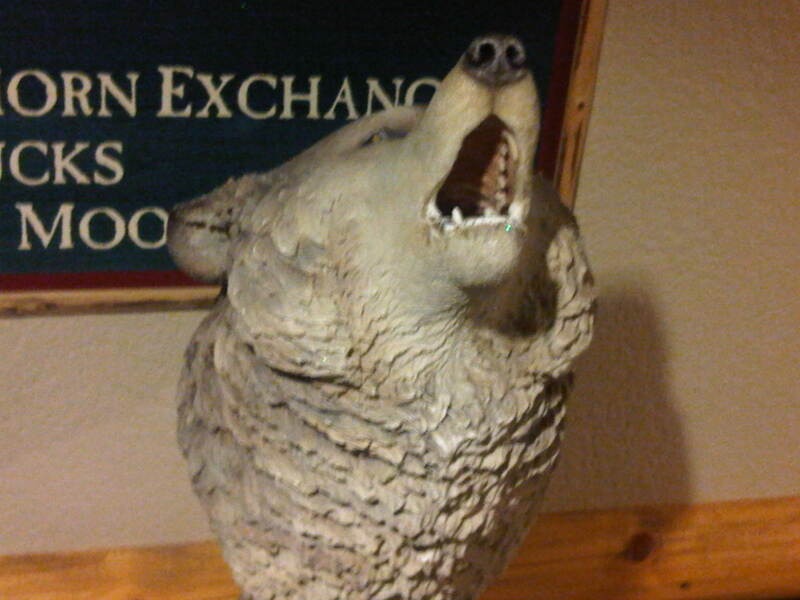 And that’s when I noticed the problem – they only had a couple of these kiosks. Yes, the footprint of these babies is at least twice the footprint of a regular ol’ soda fountain. So, the restaurant is losing out on precious real estate, especially when they’re trying to jam these into the existing real estate. While size is an issue, the real problem is that these are just not as simple as the regular ol’ soda fountain. With this big daddy, there’s only one way to get ice and one way to get (any one of the 106 flavors of) soda. And it’s through one dispenser right in the middle of the thing. At least with the old fashioned fountains, they were set up in a way that once you get your ice, you can move down the line to get your soda. The line has a nice flow to it. Here, the patrons are just forced to wait while the others fumble through the right process (pressing the right buttons) to get their ice, then fumble through picking their selection out of an overwhelming amount of flavors, and then, literally a minute later, might have their own go at it. Unless, of course, multiple glasses are in need of a fill-up, and then there’s a longer wait. I think this contraption is great. But when I want a soda, I just want the soda. I don’t want to wait in a line longer than 10 seconds for someone to get their ice and move down the line. I certainly don’t want to see them figuring out how to work their way through this experience. When I first saw this machine, I was at a movie theatre and they had about 10 of them. If we waited in line, another machine quickly opened up. Here at the restaurant, with only 2, it was a different story. The movie theatre experience seemed cool and fun. This one just seemed annoying. While this new fountain gives me the ability to choose from 106 flavors and work my way through it via a touch screen, it makes the simple process of getting soda more complicated. And that, my friends, is a bummer. I believe technology like this can make our lives easier. Here’s an example – at least for the here and now – where it’s proved to do the opposite. 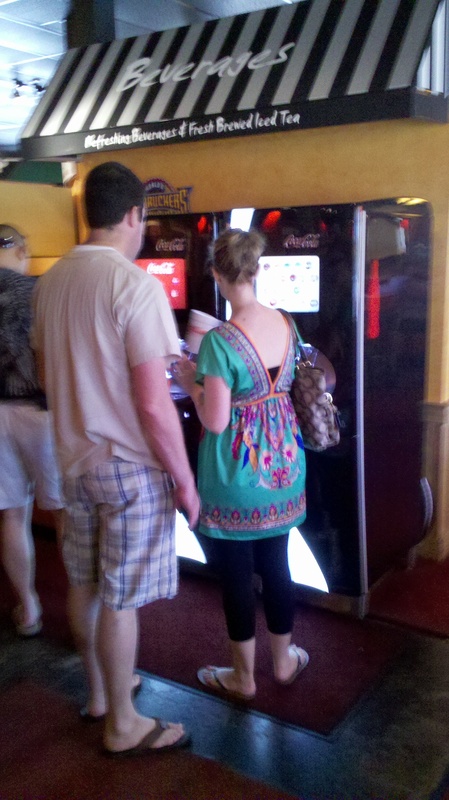 This entry was posted in Emerging Technology, Marketing and tagged 11th Screen, Coke, Kiosks, touch screen on 06/08/2011 by Mike Cearley. I’ve explored many examples of what I would consider to be the 11th Screen solutions here – those that are in some way interactive, by nature, and occur outside of the four walls of your home or office. That’s a bit of an oversimplification, but the result of interactivity outside of your home is bridging the real world with the virtual world. And as you might have seen here, or observed on your own, there are many different ways that the bridge can be built. I think one of the simplest examples of this bridge is Redbox (the red movie kiosks). I’m sure you’ve all seen many different Redboxes along your daily journey. I probably have 6 of them on my way to the train station to/from work. 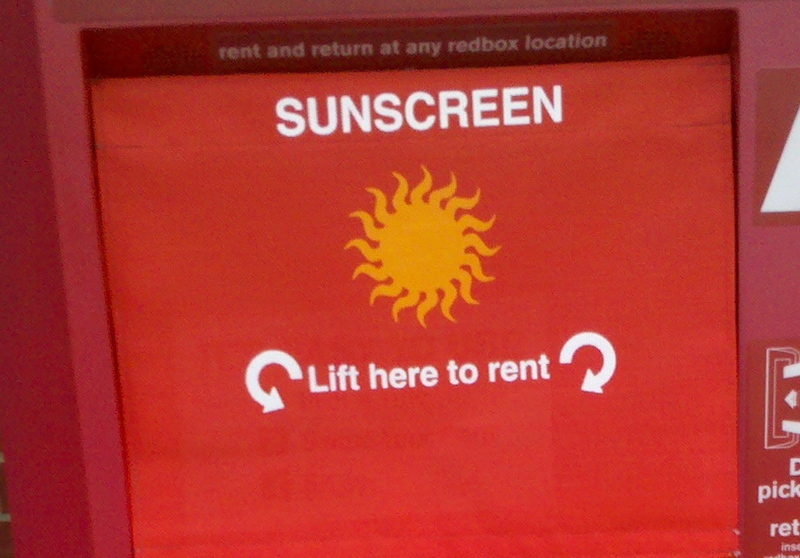 In many ways, Redbox is the quintessential 11th Screen example. 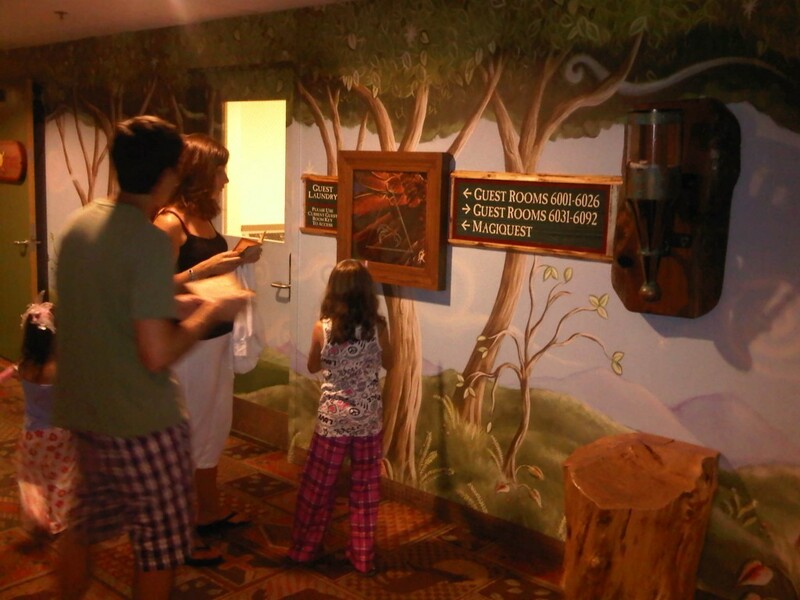 It’s an Interactive Out-of-Home (IOOH) solution that is enabled by touch. You don’t have to own the device to participate in the experience. It’s a solution that has achieved (mass) scale and perhaps most of all, it’s a revenue generator. There might not be a better utilitarian kiosk solution out there. Recently, I’ve noticed a few additions to the Redbox kiosks near me and I find them fascinating. Because they’re scratching the surface of becoming effective multi-channel devices. They’re only scratching the surface, though, and I wonder if Redbox is at crucial tipping point. With the introduction and accessibility of live streaming through services like Netflix, the act of renting movies is becoming more and more about the convenience than anything else – more than the true cost associated, more than the experience, and more than the physical disk. And while Redbox has served as a convenient and accessible utilitarian device, the game is constantly changing, in terms of technology and consumer expectation. So, these additions that Redbox has introduced and continues to explore are good, but they have some bad and just plain ugly characteristics that they need to address – and in short order – to have a chance in this rapidly evolving technological world of ours. First, let me start with the GOOD – as I mentioned, I’ve noticed their effort to become more accessible cross-channel. It makes perfect sense because the one thing that everyone carries with them when they’re outside of their homes is their mobile phone. So, they’re likely to have it right there with them when they interact with the Redbox kiosks. 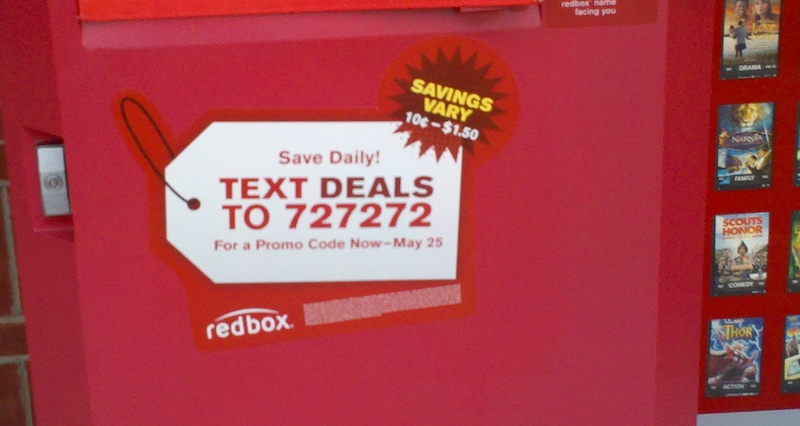 Over the weekend, I saw a special promotion on the front of the Redbox kiosks that drove people to use a SMS shortcode for special offers. 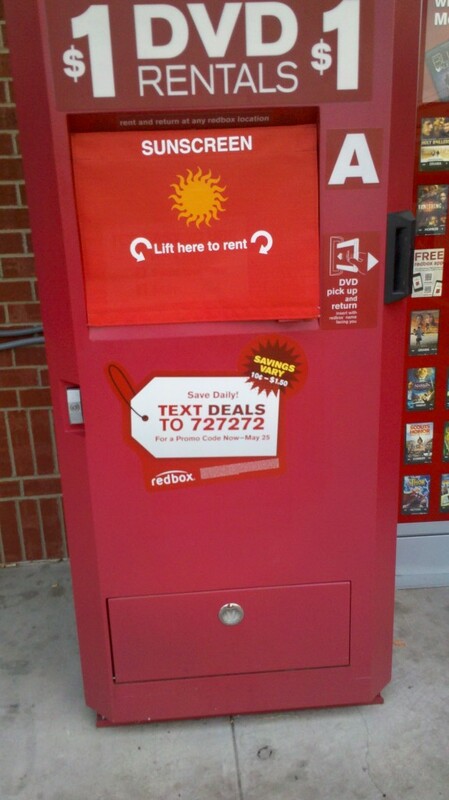 This is not a new tactic, but an effective one, especially for a physical kiosk like Redbox. The shortcode promotion instantly provides another channel to drive people back to the kiosk. In addition to the shortcode, Redbox is using QR codes to make it easy on people to download the Redbox mobile app for iPhone and Android. There could be a better way to drive people to the apps, but say what you will about QR codes, they provide instant, easy access directly to the app. And I think they’re more actionable than a standard text call-to-action. Once you download it, the app is pretty handy. It shows you all of the Redboxes in your vicinity and allows you to search movies, which is an important feature since they’re not stocked with the newest releases right off the bat (which I think is one of the major downfalls). 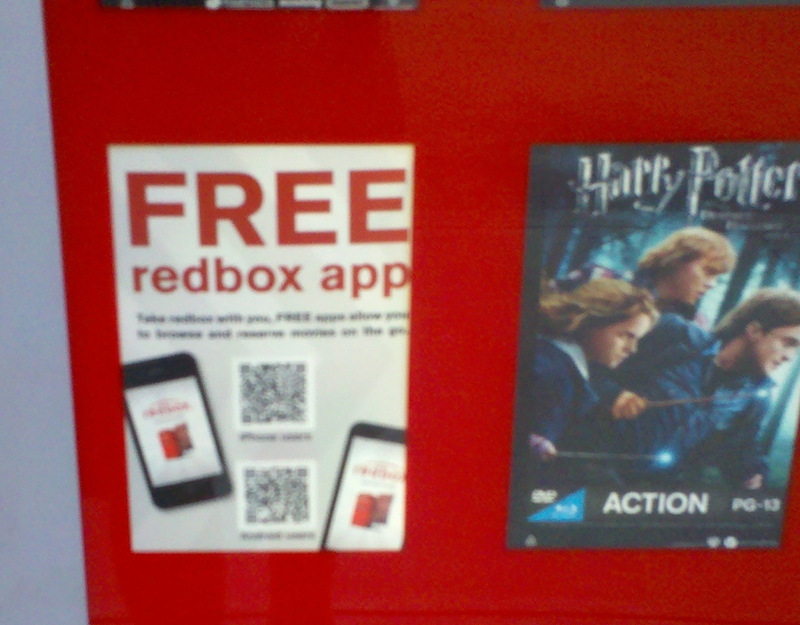 All in all, these two extensions/gateways through mobile are both solid ways to keep people connected to the Redbox experience and drive them deeper in it. But in my opinion, they are missing a major piece as it relates to connection, which is the glaringly BAD. Watching movies is a social activity. Where are any of the social hooks in the Redbox experience? In many ways, the Redbox experience is a 1.0 web experience. There are no ways to connect with other people with similar interests, yet the sheer act of watching movies is a shared interest. What would this experience look like if the sign-up mechanism were initiated through Facebook Connect? Not only would sign-up be streamlined, people would have the ability to instantly let their friends/family know what they’re watching, what they like or dislike, and even tell or see others what they think about the movies. And I think that’s just the beginning of something like that. IntoNow – the audio-recognition mobile app – does a good job of providing a deep experience on a seemingly surface-type of action. There, once you check-into the show that you’re watching, you have the ability to learn more about the show, the actors, the episodes, etc. They include a direct link to imdb.com, which is a deep experience into itself, especially for movie buffs. They’ve gone beyond the audio recognition and incorporated many smart social features, more than just sharing. What if Redbox had some sort of check-in and/or deeper “learn-more” experience like IntoNow? Maybe Redbox has done just fine the way it’s been operating, in its 1.0 experience. But aren’t we at the point where playing the game has gotten more intense? Aren’t consumer expectations way beyond this type of experience? I know I want more. Then, there’s the UGLY. Redbox is an efficient machine. The fabrication and engineering of the box is really top notch. I think it’s a model for so many self-serve kiosks. But in all its glory, what is up with the sun flap? That is the most awkward piece of fabric that I’ve ever had to deal with – even more than the baby sun shades for your car. If they would just create a simple latch, the process of renting movies in the sunlight would be so much more enjoyable. The sun flap is an afterthought. And afterthoughts, to me, are short-term solutions. And short-term solutions tend to turn into headaches. This is what I think Redbox is dealing with now. A headache that perhaps they don’t want to get rid of. But here’s the question – in the game of convenience, why create an experience that might just be good enough? In the end, that’s what I walk away from Redbox with – it’s a good experience. And the problem with good is that it’s not great. 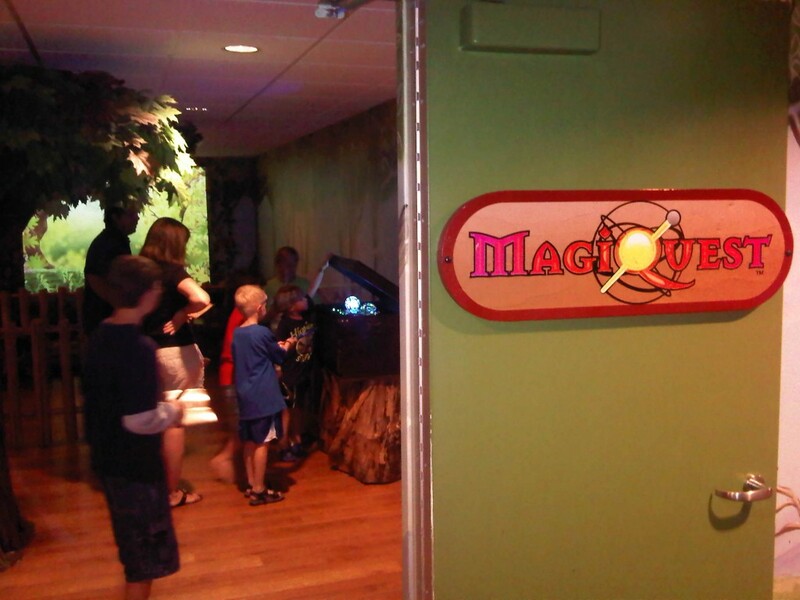 This entry was posted in Emerging Technology, Marketing, Mobile and tagged 11th Screen, Interactive Out of Home, IntoNow, IOOH, Kiosks, Mobile, QR Codes, Redbox, SMS, touch screen on 06/02/2011 by Mike Cearley. Last week, I posted the briefest post ever here and it was centered around the evolution of signage. I was on my way to work and within 1 mile of each other, I saw a traditional (1.0) sign at one Walgreens and then a digital (2.0) sign at another Walgreens. This got me thinking about the 3.0 version of this one particular sign. What would that be? Well, then, I started thinking more generally about the OOH space and what 3.0 signage and/or experiences are. I think it’s easy to assume that if you throw some sort of interactive technology at any sign, you’ll have the next generation, 3.0 version of anything. But the more I think about it and the more examples I see, the more I doubt that assumption. 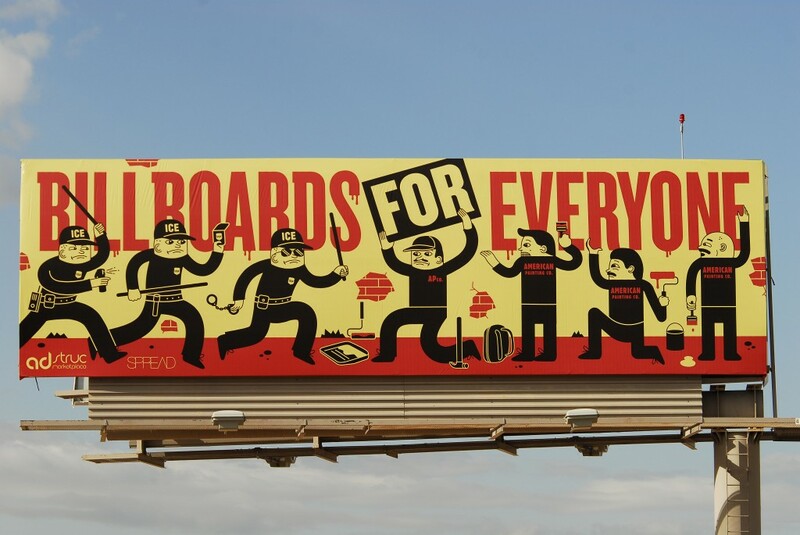 So, I’m going to document another exploration – this one focused on the evolution of OOH. I’m not interested in one version of anything. I’m interested in exploring multiple versions of a similar medium (billboards, posters, kiosks) – like the Walgreens sign. I’d love for you to be involved, too. If you come across any examples, I’d welcome you sharing them here. I think this is a topic ripe for discussion and would love to have more voices represented here than my own. 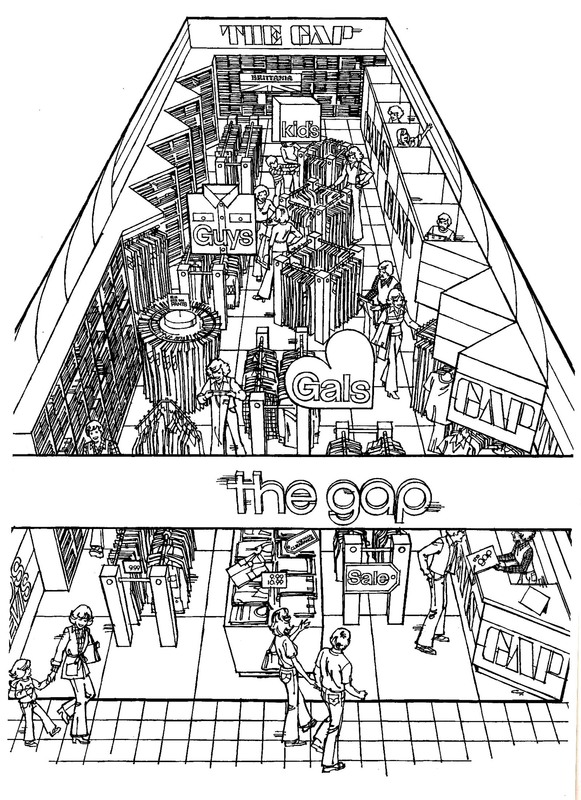 I don’t think there is much definition in this space, even around those things that have been defined. So, let’s mix it up a little bit more. 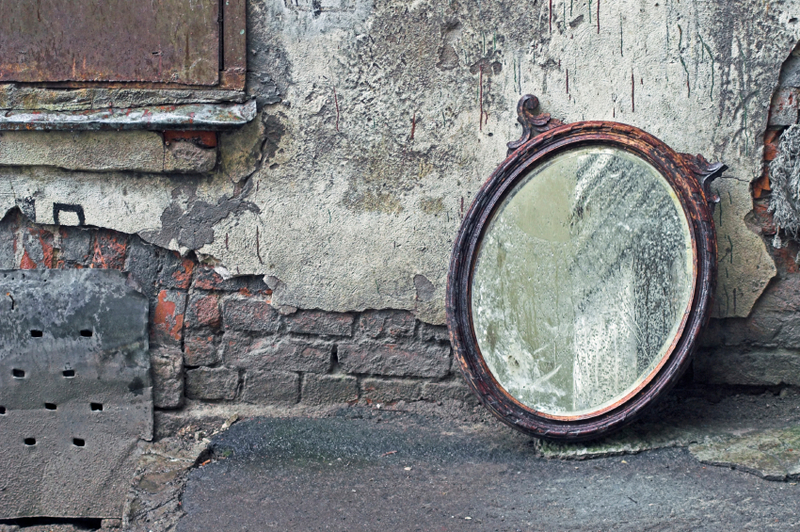 And maybe in the process, provide some clarity in this ever-evolving space called Out of Home. First up is a poster. And yes, I’m calling this a poster vs. a billboard. There’s a higher potential for information, length of engagement, and human interaction with this than a billboard. 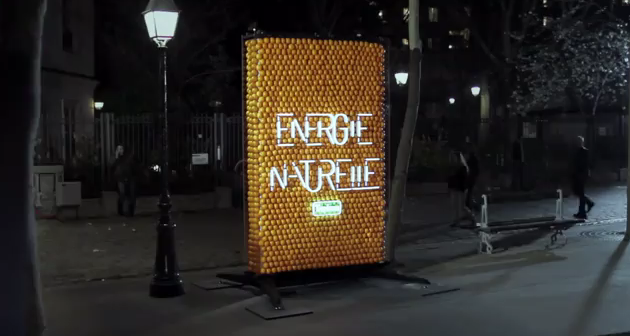 And here’s an example of another poster, this one powered by electricity from oranges. That’s right, oranges. This, to me, is an example of a 3.0 version of a poster. 1. The experience – I really believe the critical difference between current (1.0 & 2.0) executions and next generation (3.0) executions is in the experience. Nothing more. I think you can create an experience around any execution in many different ways, but in the end, there’s something fundamentally different in 3.0 executions and it has to do the experience. 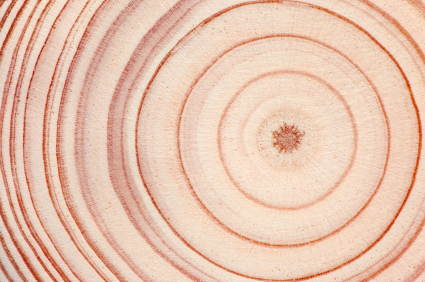 I think it’s simple to get to the bottom of different versions by asking 1 question – “is there an experience?” If there is, you can dig a little bit deeper to try to understand if the experience is new and/or unique and constitutes the next generation. Here, there’s a clear experience – different from most any poster you’ll ever see – and that is to see behind the scenes, so to speak. The oranges fundamentally change the experience. If there weren’t any oranges, or a unique power supply for that matter, we’re looking at a standard digital poster. And a fairly boring one at that. 2. Sharability – Through any experience comes sharing, from straight-up offline word-of-mouth to online social communities to everything in between. Technology has enabled sharing with masses easier and quicker, but if the experience is not worthy enough (be it the biggest, best, worst or first), no one is going to want to share it, regardless of how easy it might be. Ease of sharing from the experience might separate the execution from others, but the real difference will be in the sharability factor – is this something that people want to share? Here, there are no (share) buttons to press or codes to interact with or anything like that. But it is an execution that is unique and different and probably the first one that people have seen like it. 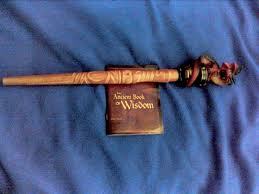 It has a natural sharability factor. As you can see in the video, people want to capture it in some way and I’d bet that the photo and/or video doesn’t stay in that digital device for their eyes only. 3. Smart – On one hand, you can approach this by asking, “is this execution smart enough to tailor messages to me?” Does it and/or how effective is it at distributing the right content at the right time to the right people? These are some of the things that digital signage enables in an efficient manner – the ability to customize messages/advertisements based on things like time of day, audience demographics, and actual placement. But to me, these are now table stakes and they don’t separate standard digital signage from being a 2.0 execution. 3.0 executions have to do more. They have to be smarter, or at least appear to be smarter. On the other hand, there’s a completely subjective aspect to how smart something is. And I think it has to do more with creativity than anything else. Both aspects here can separate 3.0 versions from the others. I would consider this execution a smart execution. 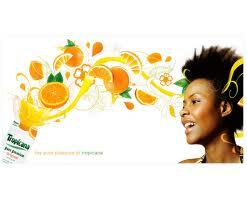 To realize the true power in oranges, enough to generate electricity and to power a poster is just smart. No two ways about it. Oh yeah, there’s a fairly substantial potential energy impact it could have, too. That’s pretty smart, too. 4. Scalability – This is obviously an important factor to change the landscape and/or consumer behavior and/or how we interact with the outside world. If it’s not scalable, it’s probably not going to change much and its novelty will fade away at some point. I have a feeling that many 3.0 examples we see are not going to be scalable. At least not right now. For the most part, they’re going to be experimental in nature. The result of these one-off experiments, however, could be one step on the innovation ladder to a larger, scalable, 3.0 execution. Again, this is the beginning of this exploration. I’m sure as I (and hopefully, we) encounter more examples, we will continue refining this lense. I’d love to hear and see your thoughts. Think I missed anything that separates 3.0 experiences from all others? Share them here. Find an example? Drop it here. I just think this space is fascinating and full of potential. With some creativity and thought (not necessarily new technology), these 3.0 solutions can make our lives easier – not creepier – easier. And regardless of how cool or novel something might be, the exciting thing is in the potential impact it could have on our lives. This entry was posted in Digital Signage, Emerging Technology, Marketing and tagged 11th Screen, Digital Signage, IOOH, OOH, Posters, Tropicana on 04/12/2011 by Mike Cearley.